Eclat Enterprises, LLC — founded by Jeneen R. Perkins — is a firm providing accounting and tax services to individuals and small business owners. They specialize in services like bookkeeping, accounting, financial reporting, payroll processing, and support in accounting software such as QuickBooks, FreshBooks, Zoho Books, and Wave. 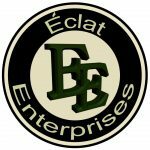 Work For Eclat Enterprises, LLC? Claim This Page.